USED 20 FT. AND 40 FT. SHIPPING CONTAINERS FOR SALE IN USA AND CANADA SECOND-HAND CONTAINERS COME IN MANY DIFFERENT QUALITIES FROM ALMOST NEW TO A WRECK, SEE OUR USED CONTAINER GRADES BELOW AS GUIDE TO BUYING USED SHIPPING CONTAINERS. 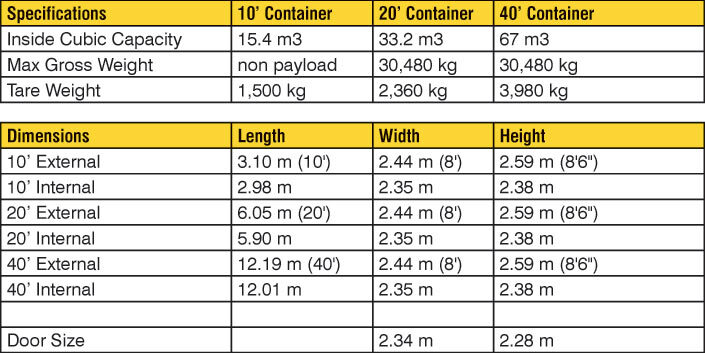 Almost all container types can be supplied as 2nd hand containers. 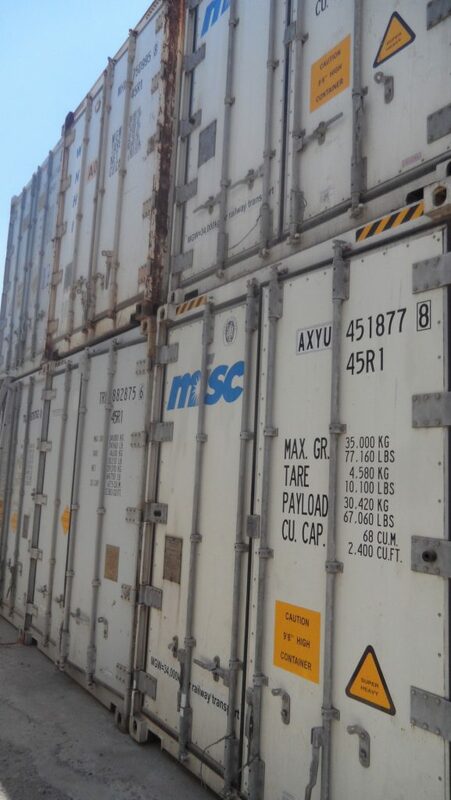 For shipping and transport use we supply used containers with valid CSC plate. Shippers Own Certificates are provided on request. The cosmetic condition of used storage containers is of greater relevance and importance. A 2nd hand shipping container in good condition will last much longer as storage container than one in poor condition. Used shipping containers are typically more than 12 years old when sold. – Panels – good cosmetic condition inside and outside, limited rust and dents and zero corrosion. – Floor – clean and without patches. – Doors – functioning with complete door gaskets. Easy/relative easy to open & close. – Framework – (CSC) I good condition. No corrosion – CSC can be updated with the maximum 30 months. – Panels – OK cosmetic condition inside and outside, probably with some rust and dents and limited or no corrosion. – Floor – can be good but more probably with repairs/patches and stains. – Framework – (CSC) I good condition. No advanced corrosion – CSC can be updated with the maximum 30 months but possibly less. – In general – Most normal quality for used containers. The container is wind and water tight but some deterioration in quality can be expected that may require remedial work in the medium term. – Panels – generally in poor condition with rust and corrosion. – Floor – suitable for use. – Framework – (CSC) In acceptable condition. Possibly suited for short-term CSC update.